Waitrose has made a £19m commitment to continue to match Tesco's prices, as it gears up for its biggest-ever value-focused campaign. The ‘1,000s of ways to great value’ drive follows Tesco’s ‘Big price drop’ campaign, backing price-cuts on 3000 products, at a cost of £500m. The Waitrose ads, by Bartle Bogle Hegarty, will focus on its pledge to price-match more than 1000 products against Tesco. It will also push its 1500-strong ‘Essential’ range, and the 1000-plus products it places on special offer each week. The TV ads will run for three weeks from Thursday, supported by in-store activity and online display ads. 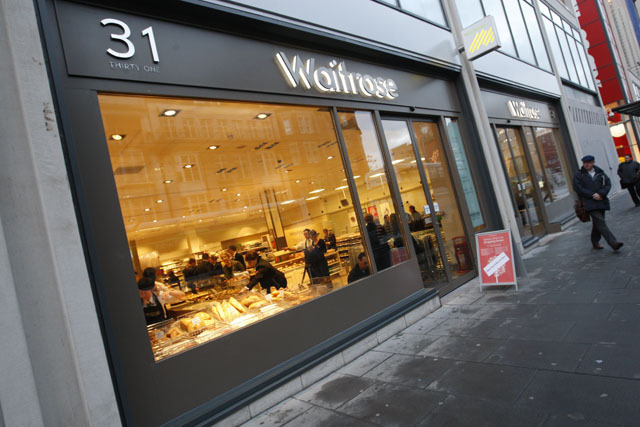 Waitrose marketing director Rupert Thomas insisted the supermarket is committed to the Tesco price-match for the long term, as it is ‘getting more customers into stores’. Thomas said that its continuing commitment to match Tesco’s prices will cost Waitrose £20m each year. He added that its ‘Essential’ value range now accounts for 18% of all the supermarket’s sales, with the 1500 lines forecast to be worth an estimated £900m by the end of this year.